Wheel stud for the 1949-75 Ford V8 pickup truck. 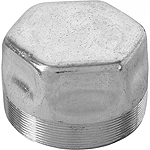 American Ford V8 Front Hub Grease Retainer Cap - Threaded style. Fits 1936-48 American Ford V8, plus V8 Pilot. 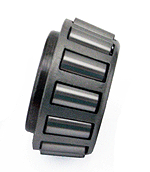 This kit contains one sleeve, and one bearing to repair a worn hub. 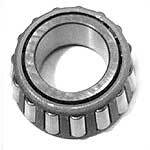 Simply press the sleeve into the hub, and this bearing has a little smaller O.D but same I.D. 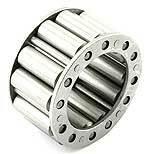 As the original bearing. Made in the USA. 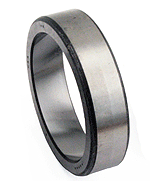 Front wheel hub grease seal - 2.68" OD. Fits 1935-48 American Ford V8 and V8 Pilot. Housing Race Repair Kit 1928-36. Requires machining. 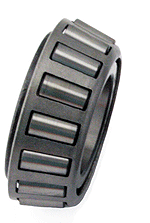 If your roller bearing is fitting loose on the axle housing, you can repair it by turning your old housing down, and pressing on the new race. Instructions for machining included. Made in the USA. 2.84" OD X 1-21/32" Long. 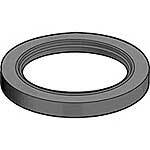 Rear wheel grease seal - 2.84" O.D. 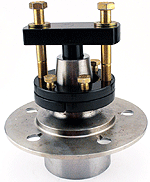 Fits 1938-48 American Ford V8 Passenger car & 1/2 Ton Pickup, plus some V8 Pilot (Check the O.D. size first). 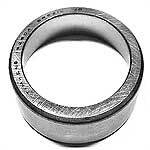 Rear wheel bearing grease retainer snap ring - 3" OD. Fits 1938-48 American Ford V8 and V8 Pilot.